Hellboy is ready to make a big comeback, and the series has more than a film backing its resurgence. 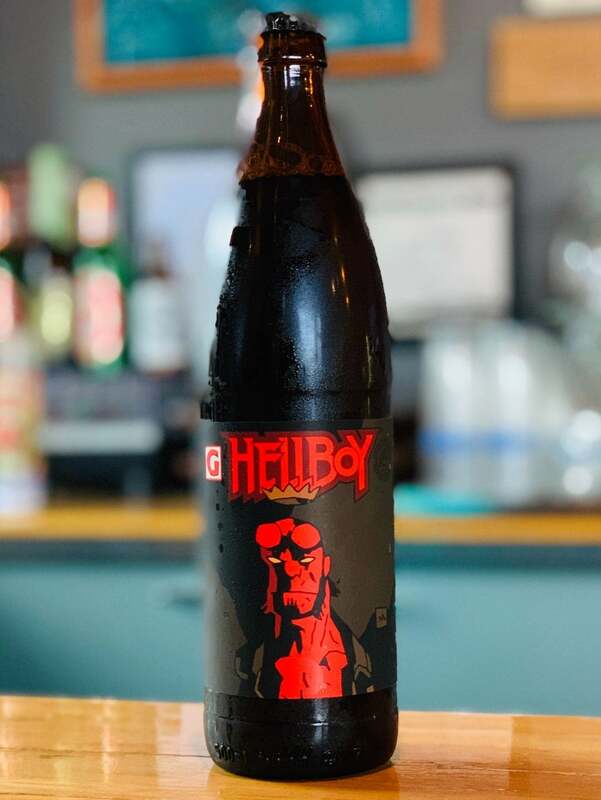 No, it turns out the hero has an entire brewery backing him, and fans will be able to try some limited-edition Hellboy beer soon enough. Earlier today, fans were let in on a special announcement regarding Hellboy. The title is teaming up with Oregon’s Gigantic Brewery to honor the 25th anniversary of Hellboy: Seed of Destruction. Dark Horse wanted to go big for the event, and it felt making 666 cases of beer was just the thing to do. So, if you want to get drunk off Blood Queen, you can this year. If you want to buy one of these cases, you better pay attention to the sale date. Gigantic Brewery will begin sales on March 23 with its first drink of the line. From there on out, a new drink will be released about every seven weeks until the beer collection runs dry. For those of you who aren't looking to sip on Hellboy's brew, you will be able to celebrate the comic icon in another way this year. After all, the hero will return to the big screen when actor David Harbour helps reboot the franchise's film run. Hellboy will hit theaters this spring, and in a recent interview, the star stressed the new film really gets into the gore and grit of Mike Mignola's original series. So, will you try to snag one of these cases? Let me know in the comments or hit me up on Twitter @MeganPetersCB to talk all things comics and anime! Hellboy heads into theaters on April 12th. The cast includes Daniel Dae Kim, Milla Jovovich, Sasha Lane, Thomas Haden Church, Brian Gleeson, Sophie Okonedo, and Penelope Mitchell. Mignola had a hand in developing the script along with Andrew Cosby, Christopher Golden, and Aron Coleite.